The world was shocked and amazed on Saturday following an unexpected announcement by foremost chamber-pop tyke, Sufjan Stevens, stating that he was releasing a new EP, like, NOW. Ok, when I mean “shocked and amazed” I mean “mildly and pleasantly surprised” and by “The world” I mean “some bloggers and Hype Machine”. 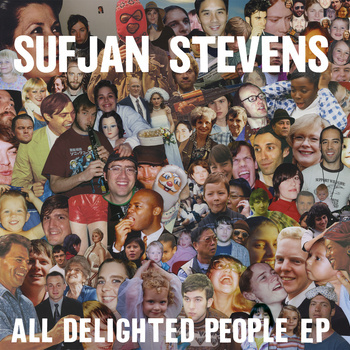 But still, Sufjan, new EP, how’s about that then? It’s only been about 26 years since his last proper release. What’s more, it’s free. You can download the tracks at a low bitrate for free, or get better quality ones for the low, low price of $5. Given Sufjan’s penchant for orchestral leanings and throwing every single instrument he can lay his hands on into the mix, I’d say that this would be $5 well spent. I’ve only had a cursory listen so far (on the way into work, natch) but it’s safe to say that he’s still going for the chuck-it-all-in sound, with some electronic jabbers and glitches added to make things a little different. Return to his best? Tough to say right now; he’s never exactly the most approachable of songwriters (Seven Swans aside), but definitely worth a good listen. Go on, buy it here. And just to mix things up, here’s a re-working of his fantastic track “Chicago” (from Come On Feel The Illinoise), as featured on The Avalanche, a selection of his finest outtakes. Enjoy!